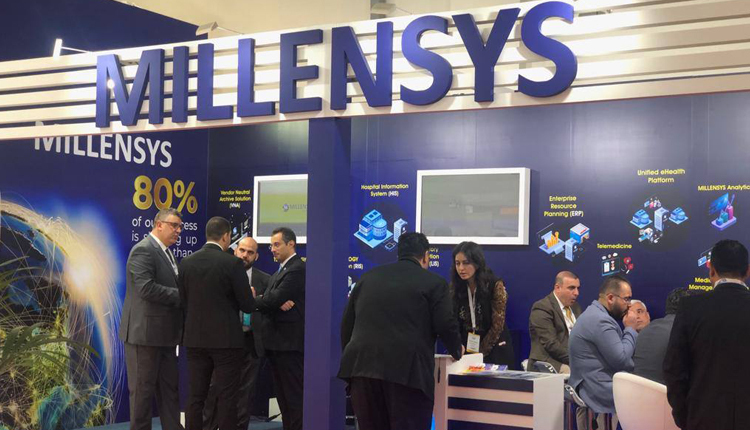 With the participation of more than 160 countries around the world, Arab Health Conference begins with Millensys taking a step towards the advancement of the digital health care sector. Arab Health Conference is the second largest health exhibition around the world and health annual conference in the Middle East and Africa. Millensys would be representing Egypt in this significant international gathering. Millensys’ goal is to enhance healthcare services making the best use of technologies the company has been developing over long years of hard work. This goal was the main drive of the company to participate in “Arab Health” The company participated in the fair to help spread the culture of using technology on keeping medical files and managing healthcare business electronically. This is to increase the outreach of such concept and make these technologies available for the largest number of users and companies around the globe. Sherif Kandil, Millensys Healthcare Technology General Marketing and PR Manger, stressed the significance of attending this kind of trade and commerce gatherings in the world. This is to boost digital healthcare solutions throughout the continents. This is in addition to the the vital role of “Arab Health” as a main drive to reinforce the outreach of such solutions. Kandil had a round of business meetings with a number of International companies and healthcare providers on the sideline of the fair to discuss potential opportunities for healthcare technology solutions. The meetings witnessed some promising results, which reflect that business leaders of the sector believe in the significance of digital healthcare solutions and recognise that its important role in the future of healthcare services.